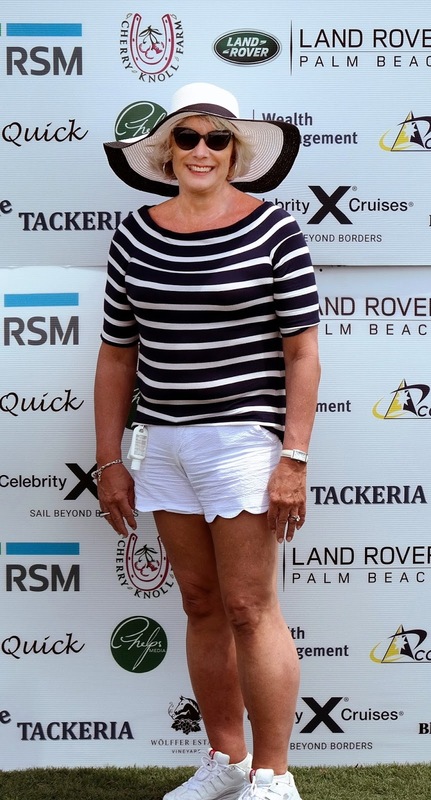 This past weekend I attended a polo match at the International Polo Club Palm Beach. It is an amazing location with many fields and much going on around the actual game. There were many sponsor booths with food and drink all around. Even large tents to serve food to the VIPs. To me the most fun was walking around. 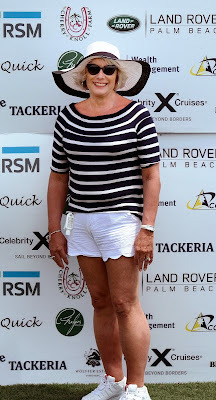 The day was warm and I dressed down in shorts and stripe top. The life saver of the day was my floppy hat. Otherwise I would have had a major sun burn from the clear and sunny day. Many visiting Florida do not appreciate the strength of the sun and get hurt. Experience counts. I ran into a friend. 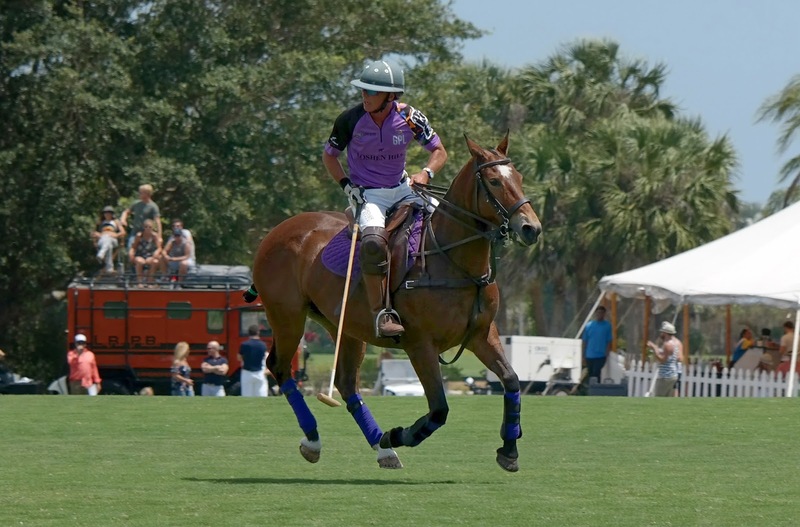 John is polo player, pictured below and had already played in an elimination game the previous day. We talked for a while between the two matches and to support the sponsors he was wearing his uniform. He is a friend from my Sunday MeetUp mixer and I will write more on him later this week. An incredible story and person. I have more of my photos to share and will do so later this week- stay tuned. Yes, Polo looks crazy and intense, because it totally is. It takes years to learn, decades to master and a lifetime to perfect. It is truly a horse sport all its own. I cannot, for the love of all that is good and holy, think of anything, in any sport, that is more complicated, challenging and engrossing. You’re trying to hit a tiny rolling ball from a moving horse. Your head is 8 feet off the ground and your mallet is well over 4 feet long and you’re trying to aiming at a ball about the size of a baseball, all while your opponent is trying to prevent you from doing so.